Hear strange engine noises? Get it over with and find out what it is. For car guys and girls nothing gets under our skin more than strange a engine noises. Even the slightest tick-tick-tick from the engine irritates us to the point that we worry, fret and obsess over it. If we carry any passengers, we’ll ask if they hear that weird sound, the phantom lurking under the hood, ready to cause massive and sudden destruction to our engine. There are worse things for a person to fret over. Engines are important, right? So let’s talk about four different engine noises and the individual parts that can make them. We’ll probably learn a thing or two about how engines work, and understand if that strange new noise we hear is going to be a minor problem or a major expense to fix. Let’s delineate engine noises into four categories: ticks, slaps, knocks and thuds. On the anxiety scale, I have those arranged in order from annoyed to concerned, to panic, and to dread. Those adverbs also correlate to the cost of repairing the noise. Ticks: Should You Ignore Them? We’ve all heard cars stopped beside us at a red light making that ticking noise, as if there was a huge clock under the hood. And the drivers never look concerned in the slightest, do they?How do they sleep at night? Small parts make small noises, so how expensive could it be to fix, right? Ticks and clicks come from the small parts in the engine, the valve train. Most of those parts in OHV engines, and all of them in overhead cam engines, are housed in the cylinder heads, the uppermost and hottest components of an engine. The combustion chambers are very close to the valve train, and combustion heat rises, baking the little valve train components unmercifully. Adding to the abuse from high heat levels, stop-and-go commuter driving means that the engine is either idling or running slowly most of the time. At idle, oil pressure and flow volume inside the engine is at its lowest, and even worse, the valve train is at the very end of the long oil distribution network. All of this is a recipe for wear and tear. Besides that, the small components of the valve train are under tremendous stress from repeatedly compressing the valve springs. The valve train operates at half crankshaft speed, though, so a worn component will make that slow ticking sound like a clock. Can you picture all that happening? Very few cars have valve lifters that can be adjusted to stop the ticking noise. So by the time you do hear some noise, it means that a part has worn out. Maybe it’s not urgent, but you should investigate at earliest convenience before the worn part damages something else. Now, if you only hear the ticking when the engine is cold, and it goes away as the engine warms up, your engine probably has a cracked exhaust manifold. Exhaust heat will expand the manifold, which closes the crack, stopping the noise. Look for tell-tale signs of the break, like black soot or a carbon track along the separation. Slapping Noise When the Engine is Cold? It’s amazing how some engine noises are quite loud in a cold engine but then disappear entirely as the engine warms up. Louder than a tick, and sounding more expensive to fix, are piston slaps. Typically, you’d hear this on a newly rebuilt engine. It happens when a machinist leaves too much clearance between a piston and its cylinder. The aluminum alloy piston expands from combustion heat and closes the excess gap as the engine warms up, stopping the slap. If it’s only a slight slap, the engine could last for years without repair. Piston slap was actually quite common in high compression, high performance engines of years ago. High strength pistons were manufactured from forged aluminum, which needed much more cylinder clearance than the days’ cast pistons. Today’s manufacturing methods are more advanced and more precise, which allows for smaller piston-to-cylinder clearances. A piston that is cracked, though, will make a similar noise, although more erratic, that doesn’t go away with heat. It’s erratic because the piston makes the noise loudest on the combustion stroke, less loud on its compression stroke, and is much quieter on the exhaust and intake strokes, when the piston is under less stress. Make sense? Isolate the offending cylinder by disabling the ignition on each cylinder, one by one, with the engine idling. Then disassemble the engine and replace that piston. Sounds easy, right? Unfortunately, it’s a major operation, which means you get to buy some fancy new tools and equipment. There’s a silver lining to every dark mechanical cloud. Do you hear a loud knocking, and it’s so loud that people in the cars next look over in terror? Wow. Think, what parts inside an engine bang back and forth, and can produce a knocking noise? Here’s a hint. Remember, the components have to be big enough, and heavy enough, to produce the loud knock. Another hint, it always sounds expensive, like something you shouldn’t ignore. Connecting rods, specifically the heavy big ends of the rods, can knock when reaching the bottoms and tops of their cycles. That’s where the pistons slam to a rapid stop and completely change directions. The banging will soon break apart the big end of the rod, and maybe sling it through the side of the engine block. It’s usually a spectacular failure. You could fix it now by installing a new crank and bearing kit, a new connecting rod and anything else that was damaged, like the piston from hitting the cylinder head. Or you could wait a very short time till it breaks, and then replace the entire engine, or at least the short block. It’s expensive either way. 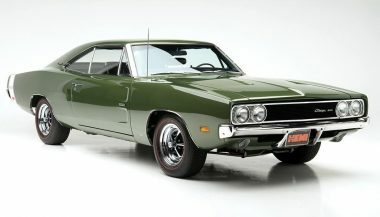 Are you doing a resto mod? Many of those V8 engines came equipped with cam gears that had a thick nylon coating over their teeth, presumably to quiet the timing chain’s operation. The nylon could wear and eventually chip away from one or two teeth, which then produced a noise that sounded almost exactly like a rod knock. The lesson here? If you diagnose a V8 engine as having a rod knock, begin the disassembly by removing the timing cover first. Check that gear before you remove the oil pan and all the rod caps. Do you ever wonder how technicians learn subtle things like that? I’m not going to tell you. Our last category of engine noises, thuds, is also an expensive type of noise to fix. Sorry. What internal engine part is big, very heavy and moves? The crankshaft. I like V8s, so let’s use one as our example. In a V-type engine, when cylinders in the right side of the V fire, they drive the crankshaft toward the lower left side of the engine. Picture that happening. As the cylinders in the opposing bank, the left side, fire, they drive the heavy crankshaft back toward the lower right side of the engine. Still with me? Worn main bearings let the crank wobble enough to make the thud sound. Yes, the engine needs a new crankshaft, but it would be good to also figure out why the main bearings wore out prematurely. The wobbling crankshaft can pound the main bearing bores in the block out of round, and out of alignment. In that case the block will have to be align bored to correct the damage. Otherwise the damaged block will quickly destroy a new crankshaft. Like we said, it’s expensive. If you get interested, you can do post graduate work on mechanical engine noises. Buy a mechanic’s stethoscope from Harbor Freight and add it to your tool collection. If your budget is shot, sometimes you can use a big screwdriver as a stethoscope. Press the tip on the engine location you want to amplify and listen through the big handle end. Try it sometimes, it works. Grinding noise when you push in the clutch pedal? Worn clutch release bearing. Grinding noise when you let the clutch out with the transmission in neutral? Worn front bearing in the transmission. That’s why we obsess over mechanical noises, because we notice every little noise, whether it’s normal or not. 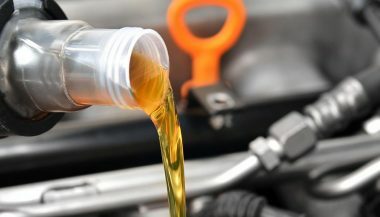 Which Engine Oil Is Best for Your Car? You have your oil changed at the specified interval without fail. However, are you actually using the right oil? Does it even make a difference? The Ford F150 has been the best selling pickup for decades in part because of its dependability. 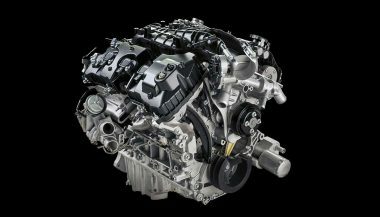 So what is the most reliable F150 engine?